Enrich your life with art. The following is a select list of galleries in Tucson and Southern Arizona whose holdings run the gamut from painting and sculpture to glasswork and ceramics. Call ahead for hours of operation and specific exhibit schedules. Gallery dedicated to the work of Arizona artist Hal Empie (1909–2002), including recently acquired originals and limited-edition prints. Oils, watercolors, pen-and-ink drawings, and prints. Owned by the Empie family. Artwork in styles ranging from traditional and Southwestern to contemporary and abstract. Featuring traditional landscapes by Tom Murray, iron bell sculptures by Ernst Gruler, and Sticks furniture. Offers an eclectic collection of contemporary fine art. Artists include figurative painter Linda Carter Holman, landscape painters such as Barbara Gurwitz, and abstract painters, including Ryan Hale. Also features artists with contemporary interpretations of cowboys and Native Americans. Free First Thursday at the Tucson Museum of Art is free and open to the public. From 5 to 8 p.m. on the first Thursday of each month you can enjoy an evening featuring music, artmaking activities, gallery access, and a cash bar. Each Free First Thursday explores different aspects of community partnerships, performances, and current exhibitions. The museum offers a rotation of feature exhibitions along with 15 galleries dedicated to showcasing items from the permanent collection of Modern and Contemporary, Native American, American West, Latin American, pre-Columbian, European, and Asian art. Free First Thursdays are sponsored by Will & Jax Realtors. A cooperative gallery featuring selected works by 60 local artists offering contemporary and traditional art in a variety of mediums, including painting, photography, fused glass, ceramics, and handmade jewelry. Features a diverse collection ranging from historic Indian art to contemporary sculptures and paintings by deceased and living artists. Paintings, jewelry, pottery, Navajo rugs, and other Southwestern art, including pieces by Maynard Dixon, Maria Martinez, and Howard Post. Find works of art by more than 50 local artists across a multitude of mediums at this artist’s co-op located en route to the Arizona-Sonora Desert Museum and historic Old Tucson. The museum interprets Southern Arizona’s history from the Spanish Colonial through Territorial eras. Exhibit topics include mining, transportation, Geronimo, 1870s Tucson, Arizona treasures, and uncovering Tucson’s past. Exhibitions, programs, and an educational museum store make up the oldest and largest anthropology museum in the region. With an emphasis on native cultures, the museum boasts the world’s largest collection of Southwestern Indian pottery and is an affiliate of the Smithsonian Institution. Sure to catch the eye, vibrant colors shine from Jeff Ferst’s paintings hanging in this foothills gallery. Admire abstracts and landscapes packed with the bright colors of the desert while shopping for colorful clothing and home decor. At this multicultural gallery, find everything from oils, to ceramics, talavera, jewelry, stained glass, and metalwork—all made by local artists. This tall, narrow space downtown next to The Grill offers the perfect place for local artists to exhibit their work–from performance and installation art to paintings, photography, ceramics, and more. Established more than 50 years ago, the gallery houses contemporary textiles, jewelry, fetishes, pottery, baskets, Navajo sculptures, and paintings from many tribes. Featuring Terri Goode, Bennie and Valerie Aldrich, Navajo artist Emmi Whitehorse, and an array of emerging artists. Love bicycles and recycled art? Find colorful bike art and crafts, including upcycled bike-centric art, bags, sculptures, bike racks, clothing, jewelry, paintings, drawings, and more. In addition to rotating exhibits, this museum on the U of A campus also contains a research center and archives. The center holds more individual works by 20th-century North American photographers—nearly 90,000 prints—than any other museum in the country. The whimsical beauty of the Southwest comes to life in Bubany’s hand-painted ceramic designs. Find one-of-a-kind tableware featuring the vibrant colors, creatures, and flowers of the desert at her gallery. Rotating exhibits of contemporary paintings, sculptures, and works on paper emphasizing abstraction and innovation. Located in the historic Warehouse Arts District, this locally owned gallery and working studio showcases contemporary paintings, drawings, and sculpture, as well as monthly exhibitions of local artists and custom-made jewelry. Specializes in 19th- and 20th-century American and European paintings, watercolors, and prints, as well as brokering and appraisals. This contemporary fine art gallery, representing established Tucson artists for 40 years, is located in a fully restored 5,400-square-foot warehouse in the historic Warehouse Arts District. It features a large selection of modern paintings and sculpture. Touting “a little bit of everything,” this eclectic gallery showcases unique gifts and works by local artists. Also find wall, neon, and Western art; jewelry; ongoing classes; vintage items; and rotating exhibits. This 10-acre National Historic District features Southwestern art and architecture by legendary artist Ted DeGrazia with adobe gallery, gift shop, chapel, and artist’s former home. Original paintings, watercolors, sculptures, ceramics, and more. The gallery’s proceeds—with pieces by local artists ranging from sculpture and hand blown glass to acrylics—go to Dragonfly Village, which provides transitional housing to homeless and low-income people. A visual arts center founded by noted artist and art educator Andrew Rush. Featuring a year-round schedule of exhibitions by students, associates, faculty, and nationally recognized guest artists in a variety of 2-D and 3-D mediums. Known for its vast inventory of vintage, classic, and contemporary photography and museum-quality exhibitions, Etherton Gallery also features paintings, prints, and mixed-media by top local and regional artists. Fire Ranch Glassworks creates original glass art, including botanical sculptures, vases, urns, and Venetian eggs. Features works by owners and artists Richard Hornby and Linda Allyn along with the works of other glass artists. Dedicated to preserving and educating about the arts, culture, and heritage of the region, the gallery includes original Southwestern artwork, exquisite handmade silver jewelry, and more from local artists. Limited edition, fine art prints by established international artists and custom framing are this shop’s specialty. This 1880s building houses a gallery with an attached blacksmith shop and features contemporary sculpture, metalwork, and paintings, along with found-object and hand-forged works by owner Steven Derks, as well as works by Dan Lehman, Moises Orozco, Ian Houghton, and Peter Eisner. Specializes in historic Plains beadwork and sculpture, classic Navajo weavings, kachinas, and Southwestern basketry and pottery, along with contemporary Southwest jewelry, paintings, and sculpture. Featuring desert botanicals and native wildlife, with rotating exhibitions showcasing local, national, and international artists. Included in museum admission. Showcasing works by students and faculty from the U of A School of Art, this gallery also displays works by professional artists in a wide array of mediums and concepts. Students display their artistic visions and learn gallery management at this U of A gallery. It was established in 1977 as a student gallery and displays a broad range of artistic mediums. Named for the famous Tucson photographer, this gallery rotates exhibits from regional, national, and international artists every spring. The gallery also hosts a juried student exhibition. Gallery features paintings, printmaking, sculpture, photography, drawings, metalwork, book arts, and installations. Home studio and gallery of nationally known artist Lynn Rae Lowe. Gallery features hand-painted metalwork, garden art, and bronze sculpture. Gallery features local award-wining artist Diana Madaras and 26 guest artists, including original art, prints, and a large array of Southwest gifts. Specializing in colorful interpretations of the Southwest. This custom-frame shop doubles as a gallery showcasing Southwest photography by Tad McBride. The architecturally striking plaza is home to more than 10 artists working in steel, glass, wood, stone, and more. Explore the studios, meet the artists, and tour the outdoor sculpture garden. This historic 1930s motor court has been renovated into charming galleries and artisan shops that showcase contemporary, traditional, and Southwestern art, including glasswork, paintings, jewelry, and custom clothing. Specializes in antiques and new Native American arts, including jewelry, rugs, baskets, pottery, fetishes, and Yaqui masks, as well as Mexican jewelry, arts, and period antique furniture. Exhibits contemporary avant-garde art from 1970 on, with six to eight temporary exhibitions per year. Features works by international and local artists, as well as public educational talks and programs on art in science and literature. This studio exclusively showcases the works of owners Pattie and Mark Johnson. Find all mediums of glass art, including blown, fused, cast, and stained. From collector pieces to one-of-a-kind jewelry, this space exclusively shows contemporary glass art by nationally recognized artists. It also houses the working glass studio of local artist Tom Philabaum. This gallery serves as the centerpiece of the Gardens’ historic 1929 home, surrounded by 13 specialty gardens. Monthly exhibits often focus on the flora and fauna of the Sonoran Desert. A Latino-based, nonprofit, cooperative contemporary art gallery in the downtown Warehouse Arts District, dedicated to showing national and international art by co-op members and guest artists. Featuring the work of co-owners and artists Bonnie and Paul Pryor, find handcrafted sterling silver jewelry and large, dramatic landscape photographs of the western US. Specializes in traditional and contemporary Southwestern, Chinese, Russian, and Native American art, including paintings and sculpture. An eclectic gallery specializing in original works by local artists Ernesto Esquer, Beth Giachetti, Lawrence Gipe, and Mano Sotelo. Also offering beautiful gifts, local art, custom framing, and a gift and jewelry gallery. Fine original Western and wildlife art. Featuring works by more than 200 artists, including Howard Terpning, as well as paintings by William Acheff and Scott Tallman Powers. Featuring the works of more than 100 North American artists and artisans. Offering unique jewelry, blown glass, pottery, and woodwork. This hidden gem music and fine-art venue displays the works of more than 100 community artists. Exhibits rotate thrice annually. This nonprofit, scholarship-driven artist group showcases professional quality artwork ranging from plein-air still life to experimental and abstracts. Specializing in fiber arts, mother/daughter duo Sally Hall and Susan Thompson create apparel, wall hangings, sculptures, and more using the ancient art of felt-making. Classes available. Call for hours. Managed by Etherton Gallery, the gallery is located downtown in the historic Temple of Music and Art and specializes in paintings, sculpture, and mixed media by top local and regional artists, including Jim Waid, Lynn Taber, and Nancy Tokar Miller. The Exhibit House, a restored 1937 adobe building, holds three galleries that feature local and regional artists in eclectic exhibitions that connect the nature, art, and culture of the Sonoran Desert. This all-encompassing art space features contemporary figurative and abstract fine art by established and emerging local artists, as well as art classes and workshops for all ages and a children’s summer art camp. Located in historic downtown, the Tucson Museum of Art and Historic Block features Western, Latin American, and modern and contemporary art exhibitions, as well as five historic houses that provide visitors with a unique look into Tucson’s past. Three gallery spaces within the Student Union display works by students and professional artists. The gallery seeks to expose the campus community to original art, current and ongoing social issues, and the creative process. The museum presents changing and traveling exhibitions of world-class art throughout the year featuring masterworks from antiquity through the present day. The 15th-century Spanish Altarpiece of Ciudad Rodrigo is always on view. Contemporary meets cutting edge with showcases from established and emerging artists. Art Gallery H features paintings, sculptures, and mixed-media from Joy Huckins-Noss, Karl Hoffman, Carla Romero, and more. An extension of the Cody, Wyoming, gallery that specializes in fine traditional and contemporary Western and Southwestern art. Represents more than 60 national and international artists, including James Bama, Deborah Fellows, Jessica Garrett, Owen Rose, and Phil Starke. Primarily featuring the work of owner Bruce Baughman, known for his reverse-painting technique in which paint is applied to one side of a transparent sheet with the intent of viewing the artwork from the other side. Specializing in Southwestern art, from beaded jewelry by Carol Curry to masks and koshare (Hopi clowns made from clay) by Alan Bass. The gallery also carries a variety of mediums including pottery, wood carving, basketry, and gourd art. An eclectic mix of paintings, sculpture, art glass, ceramics, and jewelry, with an emphasis on contemporary Southwestern art. Features works by more than 35 artists, including oil paintings by Neil Myers, Natasha Isenhour, Paul Sheldon, and Georgeana Ireland. Find everything from handmade furniture and home accessories to pieces of jewelry and handbags with a Southwestern flair. Be sure to peruse the regional artwork, including sculptures made of metal and glass. An all-female art gallery displaying works by more than 80 locally, nationally, and internationally known women artists, including pottery by Pat Aguilar, glasswork by Melissa Branzell, and dolls by Gretchen Lima. Cowboy and rodeo photography by Scott Graham Bell and black-and-white photography by Edward S. Curtis. Featuring Tibetan, South American, and cowboy memorabilia, as well as antique furniture. Showcasing the extensive artistic talents—from sculpture to watercolor—of Hugh Cabot. The collection of the artist’s original works includes signed and numbered lithographs and rare bronzes. Fine contemporary Southwestern art, including paintings, sculpture, jewelry, and furniture. Features paintings by Jim Vogel and sculptures by Star Liana York in the 2-acre sculpture garden. This gallery displays anything and everything embellished with turquoise. Find handcrafted Native American necklaces, earrings, bracelets, rings, and belts, along with rugs, pottery, and paintings from more than 3,000 artists. This gallery offers contemporary and traditional fine art, and workshop classes with the artist herself. Features Native American and Southwestern paintings by owner C. K. Wearden. A decades-old art destination in the heart of the Tubac art colony. Home to some of the finest innovative art in original oils and acrylic paintings, bronze sculpture, and American Indian and artisan-made jewelry. 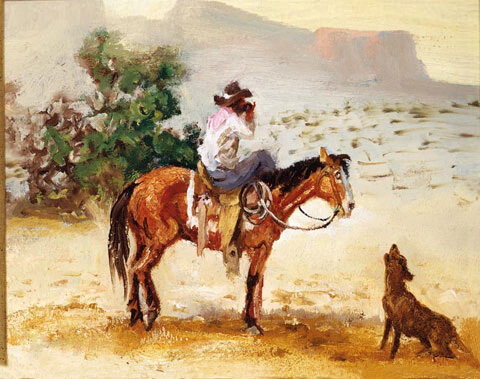 Features Southwestern-inspired paintings and watercolors by local artists including nationally acclaimed Jim Petty. Notable local and regional artists—such as Sandy Baenen, Lisa Matta-Brown, and Jacci Weller—create the modern, sophisticated, and powerful works of art shown in this gallery. Nonprofit gallery and center offers exhibitions, workshops, lectures, youth programs, and performances. Features works by more than 500 regional and national artists in all mediums, as well as three galleries, a performance stage, a history gallery, a gallery shop, and a new master-artist gallery. Specializes in regional handcrafted mesquite furniture. Also features paintings by Carlos Lopez, kachinas by Molly Heizer, and glass by Jared Davis. Gallery of works exclusively by artists from Cochise County, with an emphasis on Southwestern art. All original art, including paintings, woodcrafts, jewelry, photography, quilts, and handmade crafts. A featured-artist exhibit changes monthly and see an annual quilt show every February. Featuring both historic and contemporary Navajo weavings, Southwestern basketry, and American Indian art and jewelry. Call for directions and to schedule an appointment. A new high-desert art and nature park has become a creative destination to see natural art. Featuring an adobe barn gallery, a sculpture path, and gift shop. Paintings and photo art line the walls of this multifaceted exhibit space, which also carries colorful clothing, jewelry, and glass art. View the works of nearly 100 artists, including Christine Welch and Barbara Ross. Featuring original paintings by a variety of artists, including David Berridge, Charles Thomas, and William Spencer III. Between landscapes and portraits, J. F. Thamm Studios features artist John F. Thamm’s impressionist paintings. Offering an eclectic collection of fine-art photography, wearable art and clothing, and handcrafted jewelry. Contemporary art space exclusively featuring the works of husband and wife Poe Dismuke and Sam Woolcott. Includes paintings, drawings, and prints influenced by Bisbee’s landscape, as well as wind-driven kinetic sculptures. Original contemporary paintings, watercolors, sculpture, ceramics, and glass. Features works by owner and artist Mina Tang Kan, in addition to works of more than 30 other artists, including oils by Dan Desmond.